Enongo Lumumba-Kasongo used to get the same question every time she set down the mic and stepped off the stage. She came to expect it after performing in crowded bars, big music festivals or comic book stores, and the question usually came from a well-meaning stranger or new fan of her music. "Who makes your beats for you?" This would happen right after she'd screamed into the mic that she was Sammus, a producer and rapper, and that everything she just did on stage was her work. The question would come in different forms -- "Where's your boyfriend?" was another staple -- but the sentiment was the same. People assumed Sammus didn't produce her own music. "That aspect has actually opened up a tremendous amount of insight to me, in terms of what other women might go through," Sammus said. "It's this kind of weird thing where your skill set is questioned. Even the ability to do certain things is questioned right away, even as the words are leaving your mouth that you have done this thing." Nowadays, Sammus is a big enough name in the world of nerdcore hip-hop that she doesn't get that question as often. Still, she's one of just a handful of high-profile women rappers in nerdcore, and she's also one of the few high-profile black MCs working in the genre. Nerdcore is a contemporary brand of hip-hop whose songs focus on traditionally geeky things like programming, video games or Star Wars. These spaces are generally dominated by white men -- and so is nerdcore. As a woman, it's hard enough to break into the hip hop industry, let alone a niche offshoot genre overrun with technically savvy testosterone. That's one reason Sammus didn't actively position herself as a nerdcore artist at the beginning of her music career. She simply wrote lyrics that drew on her own life experiences, and her songs happened to include a lot of geeky references and nerdy nostalgia bombs. It was natural: Both of her parents are professors, and she grew up playing video games, knowing she would one day earn a master's degree, at the very least. Her undergraduate thesis at Cornell University focused on digital music interfaces and gender, and today she's a PhD student in the field of science and technology studies at Cornell. Sammus was already producing her own songs by the time she was an undergrad, and Mega Ran, one of the top nerdcore MCs, took an early interest in her work. Mega Ran helped her build up a profile within nerdcore; they even collaborated on an album set in the Castlevania universe. Today, Sammus proudly calls herself a nerdcore artist, but she's not completely settled with this label that was slapped on her. She struggles to find her place within a genre that, on the surface, looks like the antithesis of her own experiences. "I've had such a weird relationship with this term, nerdcore," Sammus says. "Because I think, in some regards, it's cool and does kind of capture some of what I'm doing. But in other ways, I feel like it doesn't quite cover the full spectrum of what my music is about." Sammus is just as likely to rap about retro video games or Harry Potter as she is about racially driven police violence or female sexual liberation. She's socially aware and delights in interweaving quirky, geeky references with heavy real-world issues. Her songs occupy a fuzzy space between nerdcore and afrofuturism, an artistic movement that places black people in science-fiction worlds in order to comment on past, present and future race issues. "I want so badly for my work to be seen in this vein, and if that means that people see it as nerdcore as well, that's dope," Sammus says. "But I really want my work to be in line with this movement that talks about seeing black people in spaces we've never imagined." Sammus isn't alone in this goal. Mega Ran, the veteran nerdcore MC who helped Sammus break into the genre, also raps about issues of race. As black rappers within nerdcore, Sammus and Mega Ran bring a unique perspective to the genre, but they also face specific challenges. The common image of a "nerd" is a young white man. So, when artists like MC Frontalot or MC Lars rap about video games or programming, no one bats an eye. Often, when a black man does the same thing, his expertise is questioned. When a black woman does it, her very identity as a "nerd" is up for debate. "The conceit coming from a lot of black folks who make nerdcore music is different from a lot of white folks who make nerdcore music, in that for us, for black folks, we're fighting to be seen as nerds and geeks," Sammus says. "It's like, I can be this thing. I'm not just the other thing that you told me that I was." When Sammus first started learning about nerdcore, it seemed like a bunch of white men making parodies of gangster rap, co-opting the genre's masculinity and flipping it to talk about silly things. Now she sees more of the nuance within nerdcore, but there's still a disconnect between the things Sammus raps about and what white male artists rap about. For example, she has a song called "Time Crisis" that discusses the realities of being a 30-year-old woman feeling pressured to have children and conform to other gender-specific norms. "That's not a thing, necessarily, that MC Frontalot is going to talk about," Sammus says. "Not because he's not a great rapper, not because he's not a thoughtful person, but that's just simply not a challenge that he's facing in the way that I might be facing it." 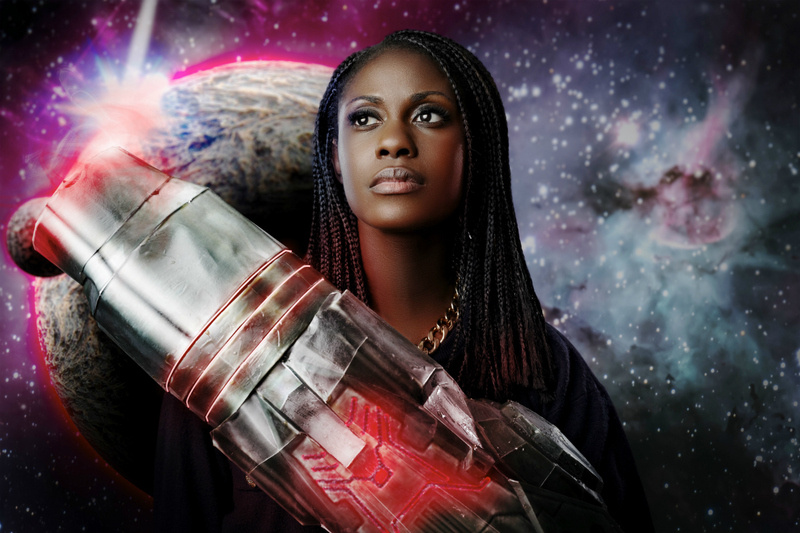 Don't get it wrong: Sammus appreciates her place within nerdcore. She's never felt slighted by other rappers, and she shares a common, geeky history with Mega Ran, MC Frontalot, MC Lars, MC Chris and all of the other nerdcore MCs. Sammus even participated in a light-hearted diss track aimed at Alex Trebek after he called nercdore fans "losers" on an episode of Jeopardy in October. Nerdcore has provided Sammus a platform for her music and her message. It's marketing shorthand that helps her book gigs at comic book stores, SXSW, PAX, MAGFest and other venues. And, she's seeing progress that gives her hope for the future of diversity in nerdcore. Sammus recently played MAGFest and noticed an encouraging trend: There were more women and people of color nerdcore MCs than she'd ever seen before. And, after her set, a handful of underrepresented people came up to her saying they were starting to write and produce their own songs too. "I think it's going to continue to shift to skew more in the direction of lots of people of color, women, non-binary folks, who love games and love cartoons and love geek, nerd stuff, but want to use it to talk about their unique experiences," Sammus says. Plus, Sammus is part of Mega Ran's Nerdy People of Color Collective, which brings together creatives like Kadesh Flow, 1-UP, Shubzilla and WWE wrestler Xavier Woods for collaboration and support. 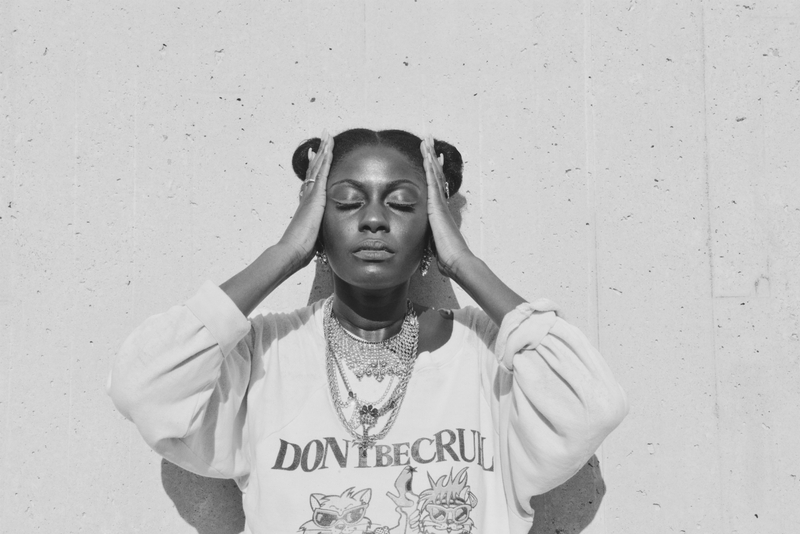 People still approach Sammus after her shows, but the conversations are a little different than when she started performing. Every time she plays a comic store or a convention nowadays, there's always someone of color, a woman or a non-binary person who comes up and asks a simple question: "Can I have a hug?" They're appreciative that Sammus is on that stage, representing the diversity of geek culture. And Sammus is proud to be there. She revels in bringing up issues like the Black Lives Matter movement to new audiences just as much as she enjoys rapping about pixels to her peers. "In that way, I don't mind this label as much," Sammus says. "It's under the label, but it's pushing it at every boundary."